Ultra-light and comfy, this adventure-ready top is a winner! 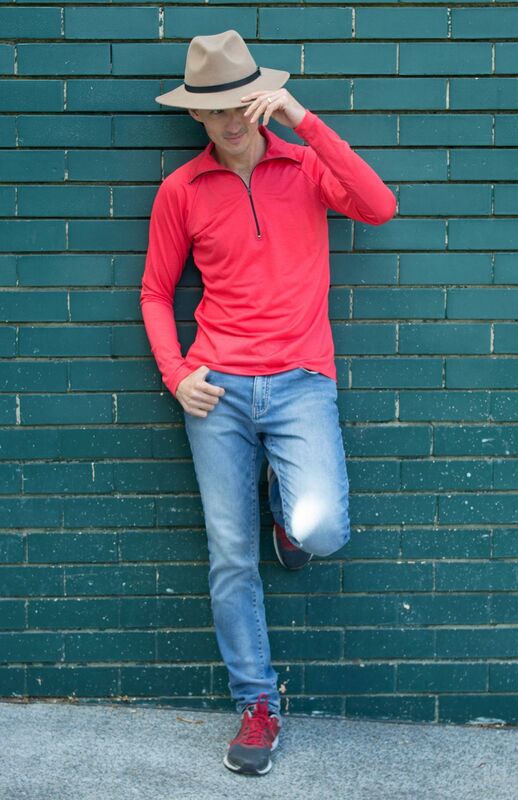 Here at Smitten Merino we love the great outdoors, so we designed our range Zip Neck Tops with ultimate comfort and high performance in mind. Our lightweight 100% merino wool Zip Neck Top has been put to the test in some of the wildest places on Earth and has become a trusted favourite with athletes and adventurers all over the globe. Long sleeves with reinforced thumb hole, high collar, half-length zip and silk-like fabric all combine to create a seriously high quality top that is naturally low odour and machine washable making them the perfect travel partner. Our super-fine fabrics wick, breathe, dry fast, and fit your body perfectly for serious technical performance! "As an Ironman and a multi-sport athlete, I need training clothing that is functional and that I can wear for more than one sport. My Smitten Merino gear works well and feels great. I have been able to enjoy training in sometimes very harsh conditions." Made in Tasmania. Inspired by nature. Machine washable on cold. Do not tumble dry. Firm fitting to hug you tight! Place the tape measure across the back, underneath the arms and then across the fullest part of the chest. 31-33" 33-35" 35-37" 37-39" 39-41" 41-43" 43-45"